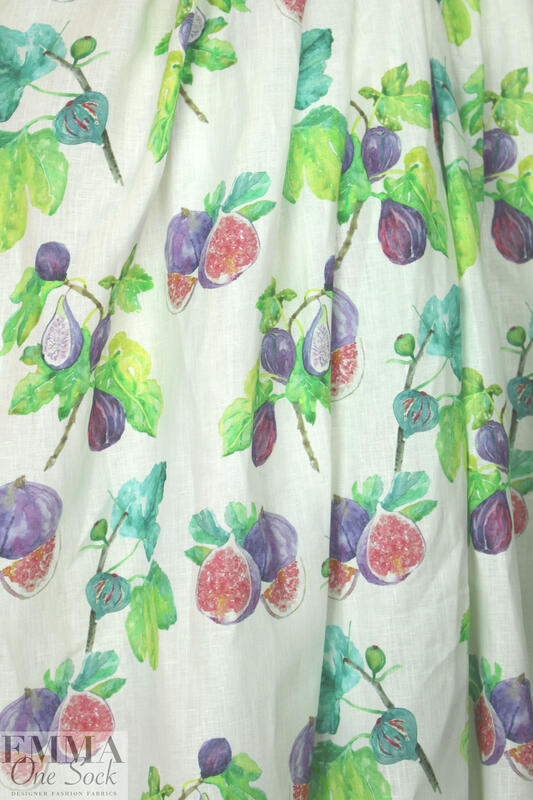 This is a gorgeous quality, semi-opaque medium-light weight linen that has lovely drape with body. 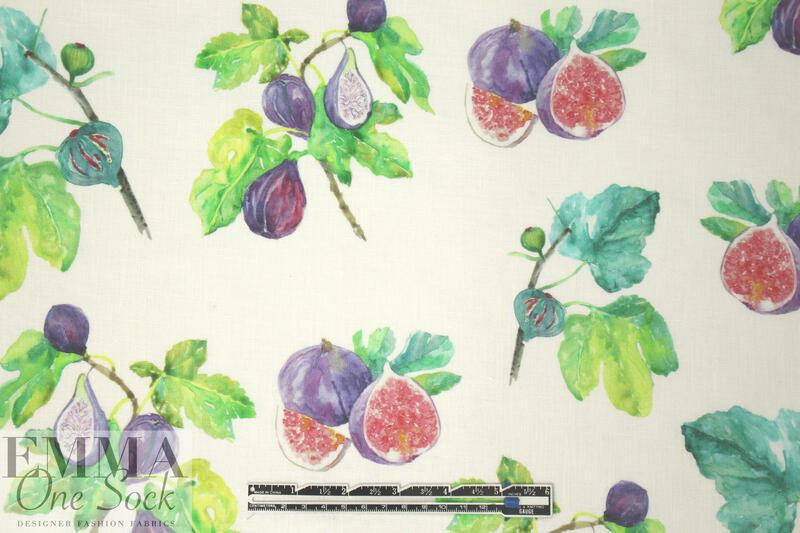 It is printed with a beautiful fig harvest print (20" repeat) in shades of green, purple, pink blush and teal on a soft white background (PANTONE 16-5422, 13-0650, 18-3633, 16-1720, etc.). 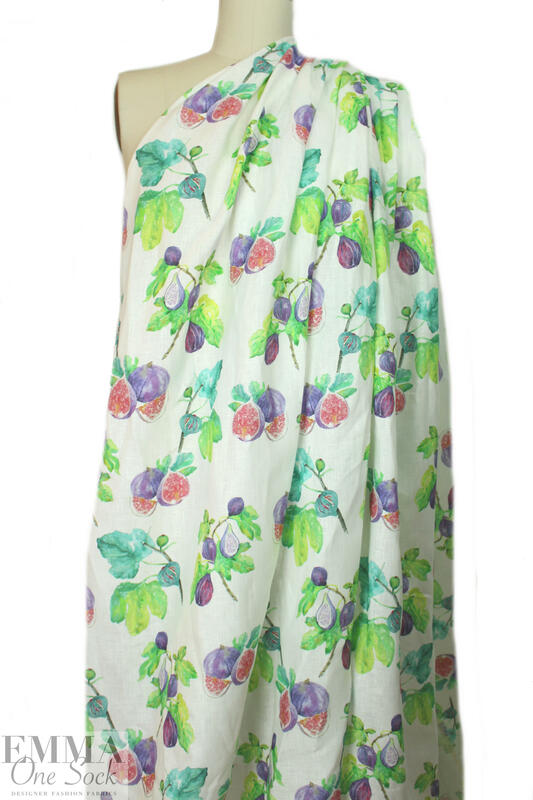 The weight is very versatile, suitable for a skirt, dress, shirt, tunic, etc. 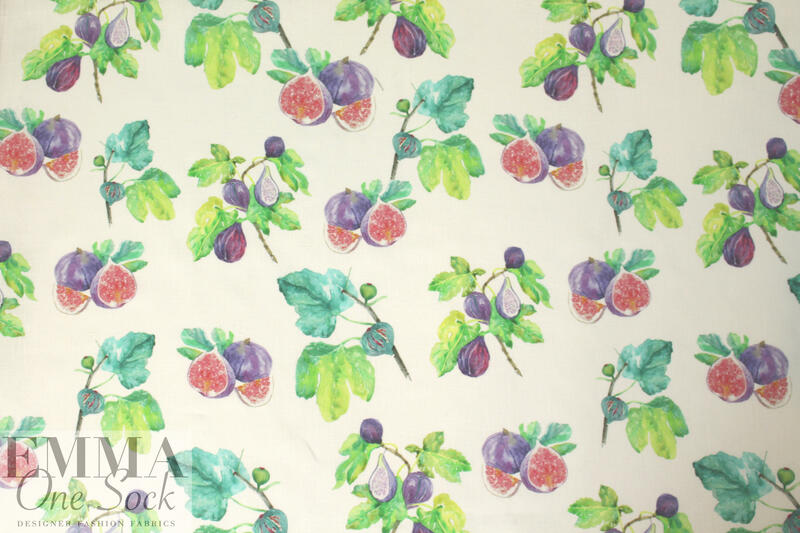 Dry cleaning recommended by the supplier, but we've put many of these linen prints in the washer and dryer and they came out just fine.